Be sure to Like our Facebook page to keep up on our Travel Blogs! 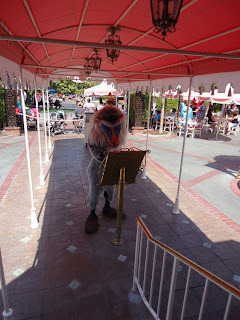 We are going to now look at the dining plan at the Disneyland Resort in Anaheim, California. This dining plan is new and not as well-known as the dining plan in Florida is. Along with being less well known, it also works quite differently than the Florida plan. 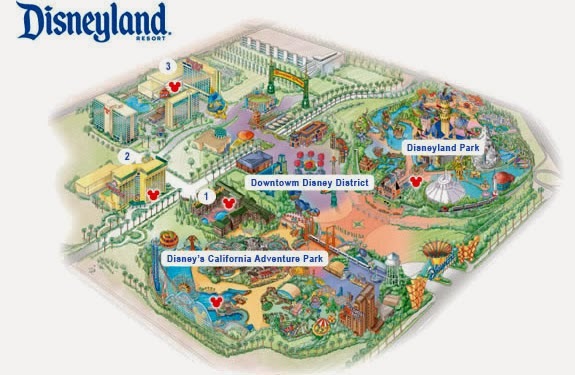 To start it is important to understand the layout of Disneyland, and the neighboring area. Disneyland Resort consists of three hotels: The Disneyland Hotel, Disney Grand Californian, and Paradise Pier Hotel, two theme parks (Disneyland and Disney’s California Adventure Park) and Downtown Disney. Outside of the resort there are numerous hotels and restaurants. Many of the hotels in the neighboring area are considered good neighbor hotels, and though their onsite restaurants are not included in the dining plan, if you book your hotel stay as part of a package through Disney you can add the Disneyland Dining plan to your package. So basically with the layout of Disney it is definitely a feasible option to eat outside of the park if you so choose, this is not to say you should never eat in the park, but it is something that you need to consider more carefully as both options have pros and cons to them. With this in mind let us start looking at the options. Below there is a table showing the different dining plans you can choose from (prices are for 2013 and are subject to change every year). So say you have a 5-night trip to Anaheim, 5 days in the parks, but you know there are some restaurants outside of the park you are set on going to (Sunday Gospel Brunch at House of Blues, Rainforest Café etc.) you could choose to take a shorter 3-day dining plan. That is right you can choose how many days of dining plan you want to have, it is not based on the number of nights you are staying. 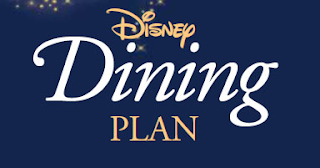 To purchase the dining plan you must book a package staying at either a Disney Hotel or a Good Neighbor Hotel booking through Disney (Travel Time Agent can do this for you). If you purchase a dining plan you will receive a book of vouchers that can be used for up to the value associated with the voucher at any participating carts or restaurants. I will give some specific examples of this in a moment but first let us look at what counts as a snack, a character dining meal, and a premium character dining meal. Snacks are bottled beverages, individual popcorn, frozen novelties, corn on the cob, or other similarly priced items available at carts throughout the parks and hotels. Character Dining is valid for the following character breakfasts: Minnie and Friends Breakfast at Plaza Inn on Main Street USA in Disneyland, Surfs Up with Mickey at PCH Grill in Paradise Pier Hotel, and Chip ‘n’ Dale’s Critter Breakfast at the Storytellers Café in Disney’s Grand Californian Hotel. The two Premium Character Dining experiences are Goofy’s Kitchen buffet at the Disneyland Hotel, and Ariel’s Disney Princess Celebration at Ariel’s Grotto restaurant in Disney’s California Adventure Park. 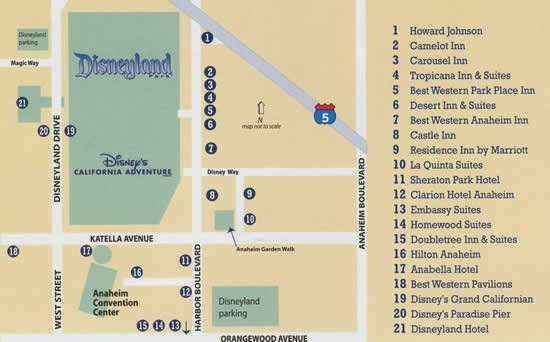 So one theme that you may have noticed, these locations are all in the hotels or the parks, the dining plan is currently not accepted at any restaurants in Downtown Disney or off property (including at Good Neighbor Hotels). So if you are a family of four (2 adults and 2 children ages 7 and 5) and have a five day package including a four day dining plan, your first day you could have breakfast at your hotels free continental breakfast (hotel dependent), an ice cream (snack voucher 1) in the middle of the day and then use your premium character dining for an early dinner at Goofy’s Kitchen before heading back to the park.. For your second day you could go for buffet breakfast at Surfs Up at Paradise Pier hotel before entering the park, purchase a snack for lunch, and have a burger and fries using (1)$15.00 voucher for dinner. 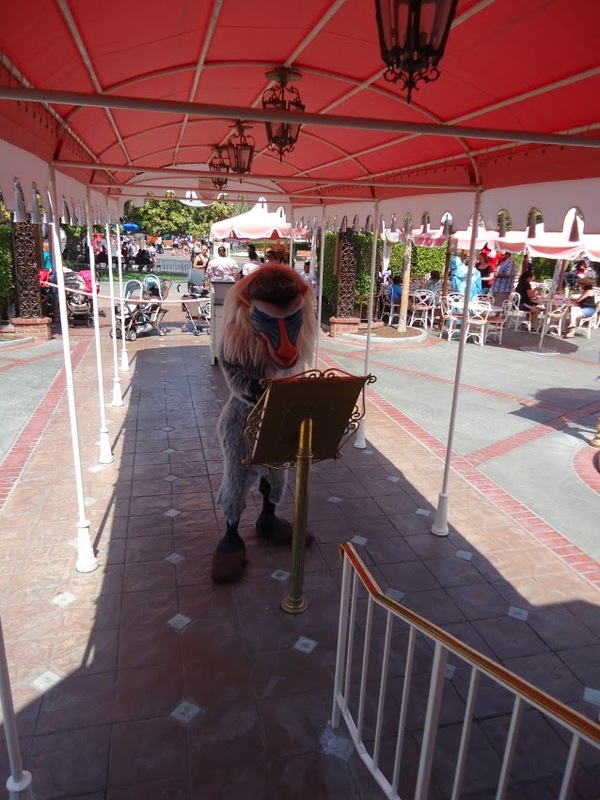 The next day you have breakfast at your hotel before leaving for the park again, and for lunch you use one of your character dining experiences(1)and (2) 1 snack voucher towards lunch at Carthay Circle, and have pizza and a drink for dinner using $15.00 voucher( 2). For your fourth day you could have a pastry from the bakery on Main Street for breakfast using your snack voucher (3) then use your character-dining voucher (2) towards lunch at Blue Bayou, and have dinner off property later in the evening. For your final day you could have breakfast with Minnie and Friends in the Park using your final character dining experience, have a salad lunch using $15.00 voucher (3) have a cob of chilli lime corn in the afternoon as a snack (last snack voucher) then use your final $15.00 voucher towards dinner at Wine Country Trattoria. The above example of dining is not the best use of all your dining vouchers but it shows the different ways that the vouchers can be used. If you do not want a character breakfast every day (buffets every morning) you can apply the allocated dollar value towards a meal at another restaurant. If you do not need a snack every day you can combine two vouchers towards a more expensive sit down meal. The important thing to remember if you are doing this is you cannot get change back from vouchers, whether you are using one voucher or combining them. Also, the character and premium character vouchers include tax and gratuity when used at the designated locations, but if you use them at another restaurant they do not go towards the gratuity. If you work out the value of each voucher included in each dining plan individually it totals the amount that you are paying for your dining plan. Therefore, you are not necessarily saving money by purchasing the dining plans, though you still could be. The value of the character and premium character dining experiences is the cost of the meal you would be getting, not including the tax and gratuity, but if used for the designated dining it also includes these costs. Therefore, for a single person for one meal that can be up to about $10.00 savings. Now if you use your snack vouchers worth $5.00 for an ice cream worth like $4.00 you are not getting money back so you are losing money there. This is one of the disadvantages, you have to be so careful about your planning to make sure you are not losing money more often then you are saving money. Another disadvantage is they are vouchers not just a card, if a voucher gets lost or misplaced that voucher is gone; the vouchers do say not to tear out before paying and they have the right to not accept a voucher that is not still attached to the book so unless you lose the book you shouldn’t have problems losing vouchers. Another disadvantage to some people is that at some meals you will have to pay additional money, the $15.00 voucher does not cover a whole quick service meal as is defined in the Walt Disney World Dining plan (entrée, drink, and dessert), so therefore if you want a quick service meal including all of these items you would most likely have to use some cash or a second voucher towards it. I personally had a soup in a bread bowl and a fountain drink in a souvenir cup, it came out to like $18.50 or so, if I got my drink in a regular cup it would be far under the $15.00 value, but by taking the souvenir cup I had to use $3.50 cash towards the cost. The last kind of disadvantage is that you are kind of committing yourself to eating a certain number of meals (or at least spending a certain amount of money on meals) either in the parks or at the hotels. The dining plan is not accepted in Downtown Disney, and cannot be used towards World of Color or Fantasmic Dining packages. There are also a number of advantages to purchasing a dining plan. You can buy options ranging from individual meals to a 5 day plans regardless of how long you are staying. Many of the sit down restaurants on Disney property require or recommend having priority seating, so committing to meals at the time of purchasing a package encourages you to make all your necessary dining reservations (or have your Travel Time Agent make reservations on your behalf). Your meals are mainly paid for in advance, minimal budgeting for meals is required during your vacation. Though eating off property is a feasible option, and sometimes nice to get away from park food, chances are you will still want some meals in the park, it is convenient, and there is a certain magic to dining in the magic. Buying the dining plan should not cost you more than you would spend on dining, in fact if you plan well it should still save you some money, even if it is just $20-$30 a person, that is money you can spend on souvenirs or on your next trip. Knowing your family is a key to making the most of your Disneyland dining package, knowing if they are picky or up to trying different things, if they are light eaters that snack a lot, or like large infrequent meals, knowing if your family likes to try different meals or if they are okay with repetition all help make the best decision. Along with this, it is important to have someone that knows Disney Dining, knows the restaurants in the parks and surrounding the parks, and can help you to make the most of your dining plan, whether that is using the dining vouchers or planning meals outside of the parks.